Meet the requirements of the law or face large penalties, or even closure of your business. Get a quick quote or give us a call. Our report is valid for 2 years from the date completed. Buying all 4 services together will save you up to 50%. We spend no more than an hour on your premises. We will supply you with full schematics & images. In the eyes of the law, having untreated water systems can be considered neglect, resulting in the closure of your business. Help us reduce the odds – get your 4 in 1 risk assessment booked now. 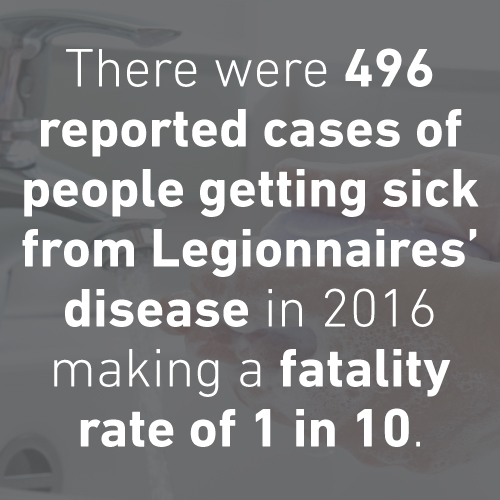 For more information on legionella, click here. 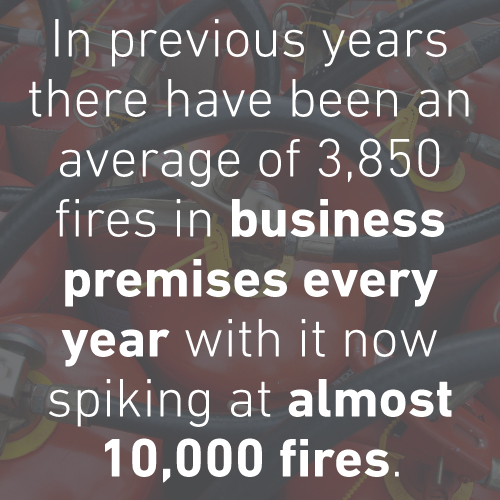 Sadly, every year 3 people will die and 160 people will be left seriously injured due to fires on commercial premises. This could cost you your business, a large fine, and some serious prison time. However, there’s a simple way for you to keep your business compliant and your employees & customers safe - book your 4 in 1 risk assessment today and receive up to 50% off. 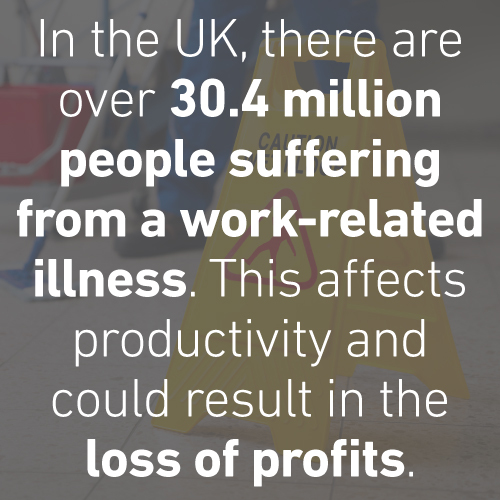 With ill or unhappy employees, productivity is likely to be very low. Not only can your employees claim expenses for loss of earnings, you could be fined large amounts of money by the government or they could even terminate your business for infringing your basic duties as an employer or business owner. Do you really want to have this issue when it's so easy to prevent? The Health & Safety Audit will provide you with a full assessment of the HSE procedures and precautions in your premises. As well as that, we give you guidance on what to do better. Our audit will ensure your business or premises complies with the latest Health and Safety legislation. All whilst causing minimal disruption to your working routine. Get your 4 in 1 audit booked today. The repercussions of inadequate adjustments to your premises can result in fines of up to £2,500 - money that could go a long way for your business. If this happens on more than one occassion, you could face larger fines and further sentencing. Get your 4 in 1 audit booked today, and we will assess your entire premises. 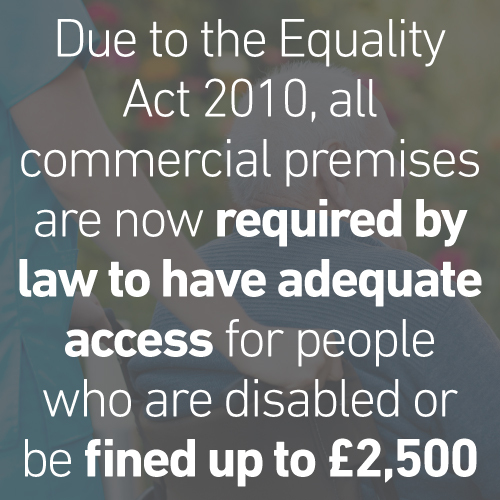 We'll provide you with a full report on what you’re doing well, and what you need to do to follow UK legislation.